Coffee and pho? Here’s the tea: Saltlight Station serves up both. 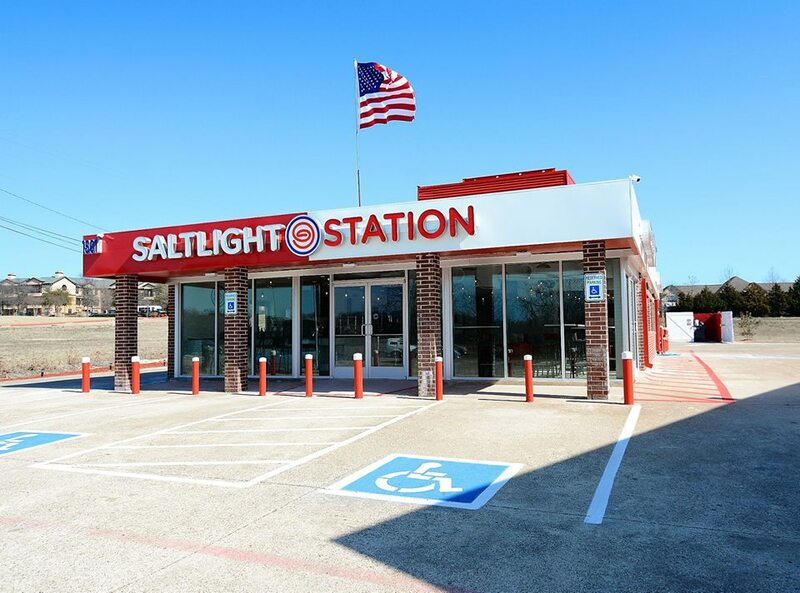 Located in a refurbished convenience store in Allen, Saltlight Station is a unique, fast-casual space bedecked with modern furnishings offering a selection of Vietnamese coffee, tea, pho and bahn mi, as well as other Vietnamese fare. Saltlight Station was founded by Chef Robert Kealiinohomoku and Nhatha Nol-Mantia, who each oversee the restaurant and coffee house respectively. Kealiinohomoku has appeared on Food Network twice, on shows like “East Meets West,” and showcasing with Chef Wolfgang Puck the Four Seasons Resort Hualalai, where Kealiinohomoku had previously worked as a chef. The pho menu contains five options, all of which contain no MSG. One of their pho recipes utilizes prime rib, and they also offer a prime rib bahn mi. 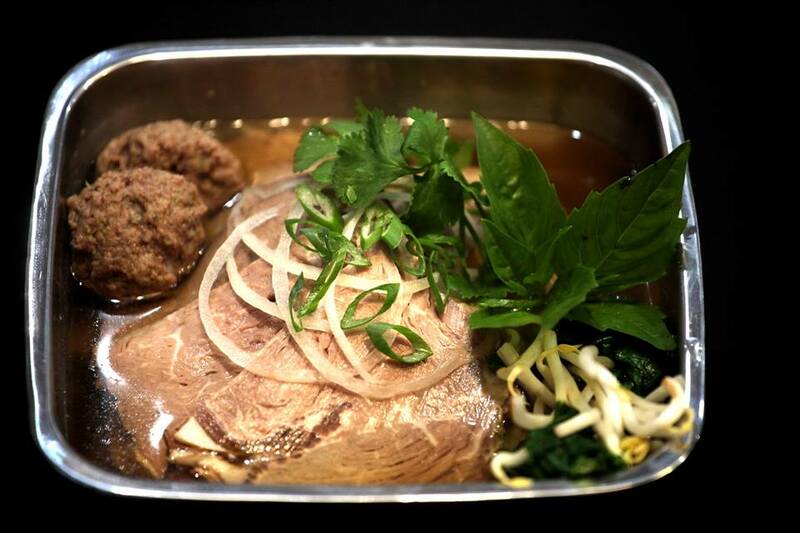 Their phos are served in slow-boiled bone broths, and you can spice them up for $1.00 extra with a lemongrass broth. Specialty beverages include their Local Honey Lime Tea, made with honey sourced in Allen, boba milk teas, and Vietnamese hot or iced coffees. Saltlight Station is a stylish hangout for young adults; a nice, secluded spot for coffees, teas, pho, and other Vietnamese fare. They even have a drive thru pick-up option. Sunday – Thursday: 10:30 a.m. – 9 p.m.
Friday: 10:30 a.m. – 2 p.m.
Saturday: 5 p.m. – 9 p.m.